The Clubs Council will today consider a number of changes to club funding policies. The changes, proposed by Clubs Council Secretary Howard Maclean, would fund events at a flat rate per head, as opposed to the current sliding scale, and would significantly increase club event funding. However, the proposals do not appear to have been financially modelled, and one may run afoul of University funding requirements. One amendment would significantly alter the Ordinary Events Grant. It would remove the current system, where the per-head funding increases with more attendees, in favour of a flat rate of $11 per head. This $11 amount is currently the cap on per-head funding, available only to events with 115 or more attendees. Before this system was implemented last year, there was a two tiered system where funding was either $7 or $9 per head, depending on attendee numbers. Implementing an $11 per head rate across the board would therefore mean significant extra spending and a significant funding increase for smaller club events, compared to previous years. Neither Maclean nor ANUSA Treasurer Mariah Chang responded to questions about the affordability of the changes. This amendment would also make all ordinary events eligible for 100% reimbursement. Currently, events can receive full reimbursement for the first $80 of spending, and 75% reimbursement thereafter. Before this policy was introduced last year, all reimbursement was limited to 75%. Last year, under the current system, the Clubs Council spent almost all of its available funds. The Club Start Up Grant also faces significant changes. Maclean proposes to change the name to the “Liquid Reserve Grant”. Currently, the grant is a one-off payment to a club first affiliated in the last three years. Maclean, however, wants it to become a grant that all clubs can receive once per year. Clubs could apply for up to $200 so as to bring their club bank account funds up to $500. “Without a certain amount of liquidity, clubs can’t function, even if they are otherwise large or asset heavy. 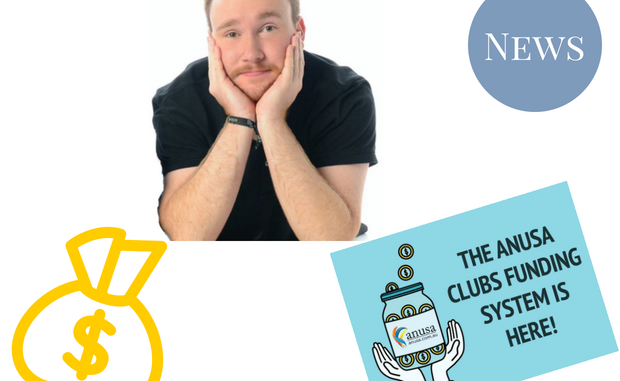 This is particularly true for small clubs, clubs that do not charge for membership, and new clubs,” Maclean writes in his explanatory memorandum. However, it is unclear how this grant would interact with the University’s requirements on receiving funds from the Student Services and Amenities Fee (SSAF). Generally, any SSAF money not spent by an organisation must be paid back at the end of the year – it cannot sit in the organisation’s bank account. Observer understands Maclean is seeking legal advice on the matter. Maclean and Chang did not give further comment on the issue before time of publication. Other proposals being considered include allowing the Clubs Council Executive more discretion over Travel Grants, and having a standardised format for policies. Maclean informed Observer that under the current system, Clubs Council money could be used to fund flights around the world by shell clubs at half price, without any capacity for the Executive to question the expenditure. Further proposed measures would regulate Executive meetings, and reform and standardise Executive powers and decision-making. The proposals will be voted on at today’s Clubs Council Meeting, at 2:30pm in the John Curtin School of Medical Research. Club delegates must attend and vote, and all undergraduate and postgraduate students may attend and speak.